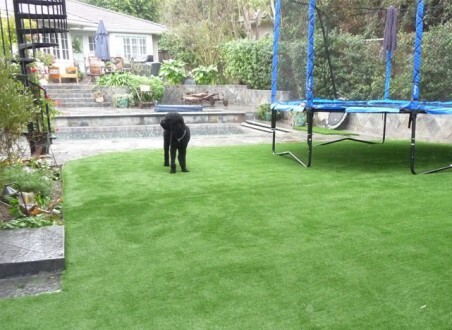 Garden Grass Pet & Play is a light-weight, cost-effective and easy to clean synthetic turf for pets. 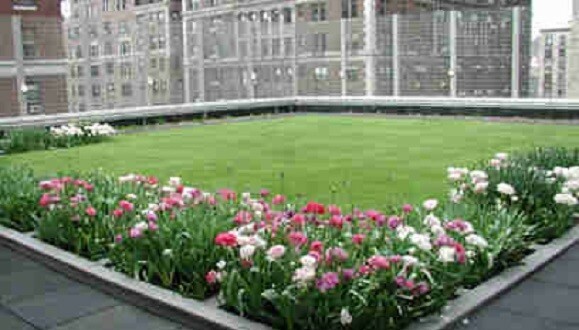 If you're looking for a beautiful green lawn year round, this is a top choice that pets love too. This visually attractive and soft to the touch grass comes in a bright two-tone spring green with an olive thatch to provide a beautiful, long lasting, low maintenance landscape. 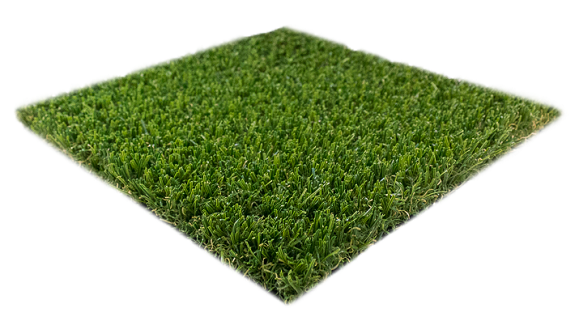 Garden Grass is on of the best artificial grass products for pets since it's lead-free, non-toxic, and the light fiber weight makes it easy to clean and maintain. Garden Grass is recommended for any application in which a vibrantly green yet cost-effective synthetic turf is desired and is popular for pet areas, residential landscaping, commercial landscaping, playgrounds, retail areas, pool surrounds, schools, daycares, churches, and rooftops. 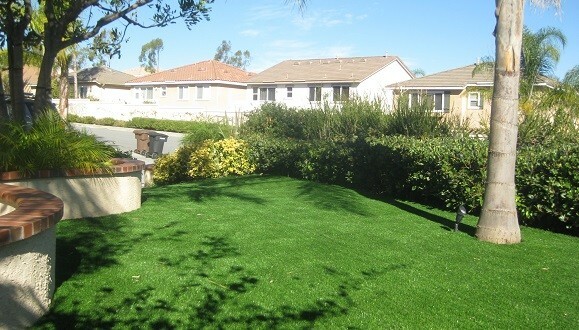 Garden Grass features PolyTurf's BioCel soy-based backing, making this a more environmentally friendly synthetic turf option.